Brochures are a great medium to get information about your product or services out into the wider community to persuade potential buyers to part with their hard-earned cash. From designing the layout, to generating engaging copy – there are many elements required. Sounds like a lot to take in, right? Here are four quick and simple tips, to help you create successful brochures for your organization. The tips below can be used across a number of markets, so whether you sell toiletries, condos or gardening supplies, there will be something you can take away. AIDA is one of those business marketing buzzwords that you’ll love to hate, but it’s actually useful to think about. AIDA stands for: Attention, Interest, Desire and Action. 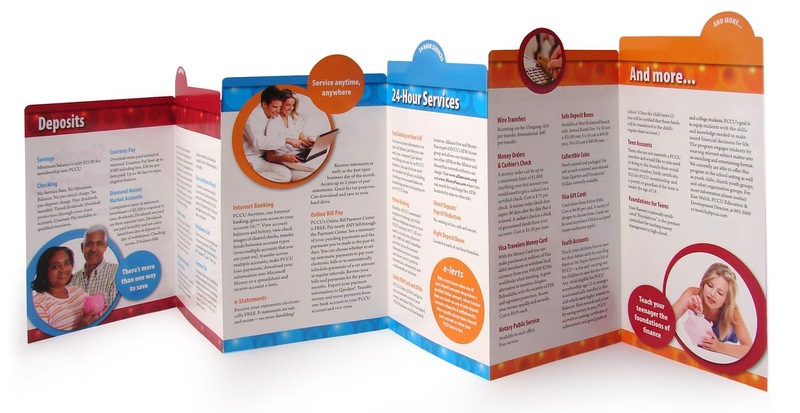 This means your brochure needs to be colorful enough to grab attention; filled with engaging content to be interesting; contain desirable products that your customer needs; and numerous ways for them to buy – or act. Once you’ve got these four points nailed down, your brochure will be much more effective. The average attention span of any reader is around 5-seconds. They’ll spend this time by glancing at the front of your brochure and flicking through a few pages. If they don’t see something that they like straight away then you have lost them. That’s why punchy headlines are a must. They draw the reader in – engaging them straight away. ‘Revolutionary Bar Stools’ might well be a bit of an overstatement, but it reads much better than ‘Bar Stools Available in Lots of Different Colors’. Capture their imagination straight away and they’ll be more inclined to read. If there is one quick way to ruin the reputation of your business, it’s a shoddy-looking brochure. With a free professional style brochure creator, you will not produce anything sub-par. With this software, you ensure that your final product looks, feels and appears to meet the expectations your customers are hoping for. The paper you use is almost as important as how it looks. If your brochure feels cheap, customers might associate your products to be cheap as well. Thick glossy paper is generally a good call when creating a brochure, as it’s a durable, yet professional looking material. This means that your final product will last longer, which means more people will potentially read it. Our green chair comes with two arm-rests and is foldable. Our chairs, with a neutral green finish, fit perfectly in any garden environment, and can be folded neatly away in the cold winter months. The first simply describes the product and what it does, while the second not only describes, but sells the advantages of the chairs – it’s crucially important when developing a brochure to always have sales at the forefront of your mind.